Today's post is about celebrating our incredible and wonderful selves. 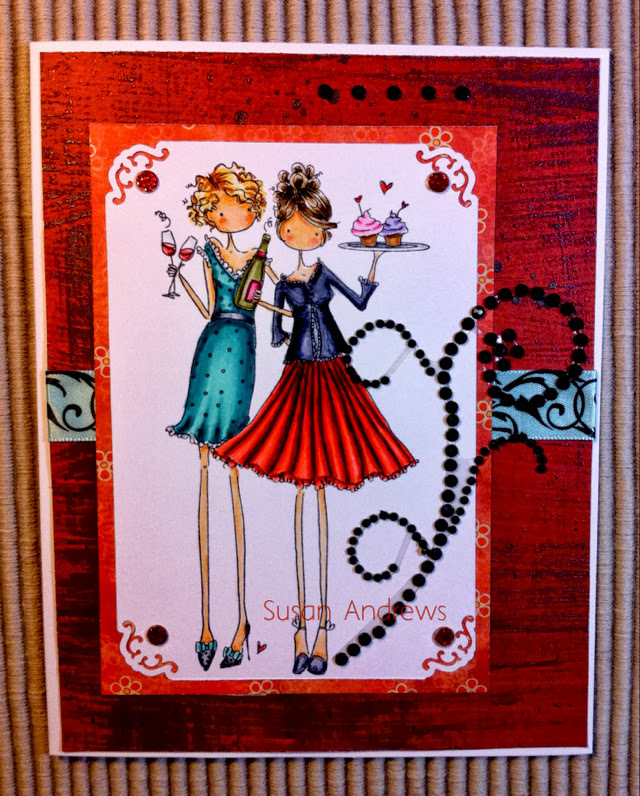 Together these two stylish uptown girls spread joy along with a bit of good cheer and sweet treats. Not only does this card represent a celebration of a friends 70th birthday (who looks and feels much younger) but also the celebration of friendship. Cheers to you my friend, hope you have a wonderful birthday.